Thanks to The Walking Dead, zombies are being spotted in all manner of places, and now they've popped up to take a swipe at your morning coffee! 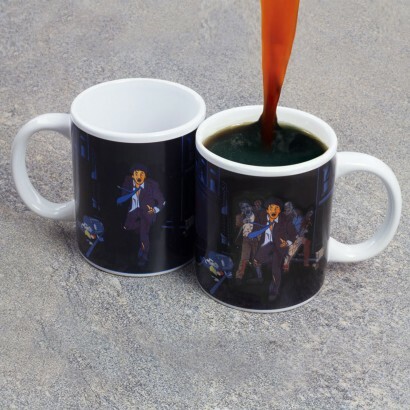 Get your daily hit of caffeine from this heat change mug which features a helpless victim running for his life. 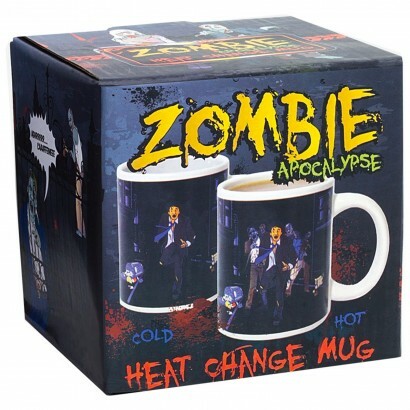 Fill your mug with hot liquid and a band of lumbering zombies come into view chasing down their victim, drink up and the zombies will fade out again leaving a darkened alley.